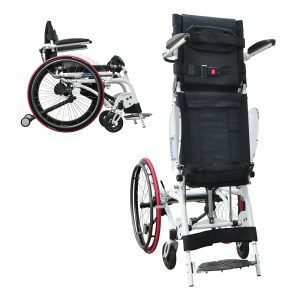 Adjustable leg length, seat depth and footrest tilting angle. 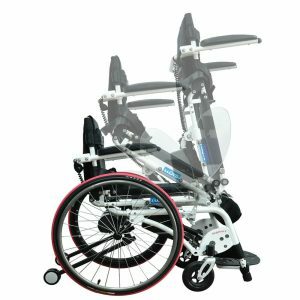 Quick release wheels and backrest foldable for easier transport. Great to serve as a physio therapy equipment for home, hospital or rehab centre. The up/down position can be controlled by a small controller at the tip of armrest.